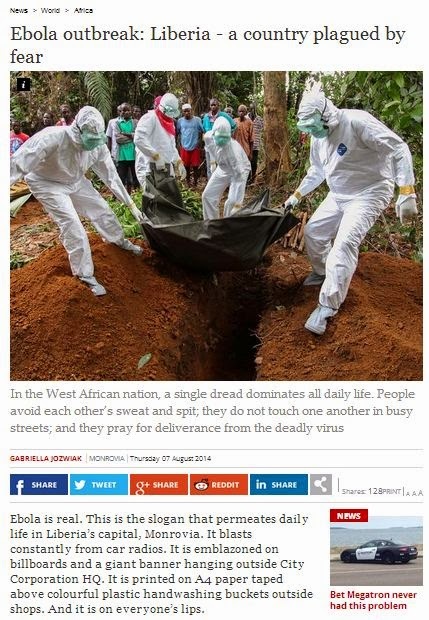 "Ebola is real. This is the slogan that permeates daily life in Liberia’s capital, Monrovia. It blasts constantly from car radios. It is emblazoned on billboards and a giant banner hanging outside City Corporation HQ. It is printed on A4 paper taped above colourful plastic handwashing buckets outside shops. And it is on everyone’s lips. Read the article in full on the Independent website.